BARRING a major stumble by the Coalition, federal Labor is about to learn a harsh lesson about the leadership styles of Kevin Rudd and Julia Gillard. That lesson is about the pitfalls of choosing leaders who embark on seemingly endless quests to maintain popularity at the expense of informed policy development and competent government. The disciplined process that underpins the development of good policy is anathema to the populist leader, who seeks to hold information in secret from stakeholders, and often from colleagues, out of fear it will leak before it can be milked of its media potential. Rudd’s populist approach appeared to work well at first, as early in his first term he achieved some of the highest approval ratings of any prime minister in our nation’s history. Yet even those ratings were not enough as he pursued stunts such as the 2020 Summit and his highly publicised visit to Cate Blanchett’s maternity room rather than attending the funeral of Labor icon John Button. One of the most reckless of Rudd’s populist ideas came after the collapse of the original tender for his modest National Broadband Network based on fibre-to-the-node, which was part of his 2007 election platform. Rudd replaced this policy with a hugely ambitious fibre-to-the-home network involving the creation of a massive new government telecommunications monopoly. As has been reported, Rudd and his hapless then communications minister Stephen Conroy literally sketched out the policy on a drinks coaster on a VIP flight. With tens of billions of dollars on the line, Rudd’s steadfast refusal to submit the proposal to a cost-benefit analysis revealed unparalleled arrogance and disregard for taxpayer funds. American political strategist Rahm Emanuel said in 2008: “You never want a serious crisis to go to waste.” Rudd used the 2008 meltdown in global financial markets in the northern hemisphere as an excuse to chase greater popularity, but with disastrous consequences. His fabled cash splashes were the equivalent of shouting the bar to buy popularity, while much of the money was wasted. Rudd also presumed citizens would be grateful to get free home insulation. Poor policy design, shoddy implementation and incompetent oversight resulted in the tragic deaths of four young Australians, hundreds of house fires, thousands of electrified roofs and hundreds of millions of dollars to clean up the mess. This issue has haunted Rudd since it emerged that official warnings about safety were sent to his office and that he failed to respond. When Rudd’s manic management style and poor governance caught up with him, and with his popularity in freefall in mid-2010, Labor moved against him and installed Gillard as leader. She also came to the job with relatively high approval ratings. Yet Gillard quickly revealed a flawed focus on massaging policies into a media package rather than on consultation. She announced a regional processing centre for asylum-seekers on East Timor, only for it to emerge that she had failed to discuss the proposal with East Timor’s Prime Minister. That was followed by her much ridiculed People’s Assembly to build community consensus about climate change, and her Cash for Clunkers proposal. This set the pattern for her prime ministership, where policy was dreamed up behind closed doors, with stakeholders often feeling ambushed. A major factor that led to Gillard’s fall from grace was her decision under pressure during the final week of the 2010 campaign to promise there would be no carbon tax under the government she led. In desperation to retain her hold on government she later signed a written agreement with the then Greens leader, senator Bob Brown, to introduce a carbon tax. This was a mistake of monumental proportions, on two counts. First, it was a clearly broken promise, the gravity of which she failed to appreciate, as it came to define her as dishonest and untrustworthy. Second, there was no possibility the Greens would have forged any agreement with the Coalition; therefore Gillard was politically stupid to cave in to their demands. It did not help that Rudd stalked her every move, but ultimately it was Gillard’s relentless pursuit of popularity based on flawed policy that gave her opponents a plethora of material with which to work. Rudd’s return to the leadership handed him a rare opportunity to remake himself politically. Support for Labor surged initially as the public welcomed the departure of the broadly disliked Gillard. Labor banked on Rudd as a returning messiah promising a “New Way” of positive politics that would rise above the divisiveness of the past. It was assumed Rudd had been working on a policy platform during his three long years in purgatory. What is now clear is that far from a “New Way”, Rudd returned to his old habits and modus operandi in his endless pursuit of cheap popularity. The whirlwind of activity in the first few days of his return as he raced from event to event across the nation and overseas was the first sign he had learned nothing during his days in the wilderness. While the “selfie” posted on Twitter of his shaving cut bordered on the ridiculous, the familiar Rudd strategy of multiple announcements of increasingly flimsy ideas and moving on to the next launch before any serious scrutiny could be applied, increasingly frustrated even his most ardent supporters. In contrast, Tony Abbott and Julie Bishop and the Coalition leadership have taken a different approach. It is clear from the lack of holes in their policy platform that the hard work of consultation and debate has been undertaken during their last three years in opposition. Moreover, they understand that popularity is ephemeral while respect is enduring. It is clear that this Coalition team is focused not just on winning this election; it is planning to govern for a very long time. Behind the disciplined Abbott-Bishop partnership is a generation of young and ambitious parliamentarians who will bring the rigour and internal competition that should militate against complacency in the years ahead. That the Coalition has also preselected some outstanding candidates for this election – to set it up for decades to come – should send a shiver down the spines of Labor apparatchiks. 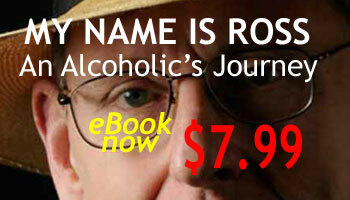 Ross Fitzgerald’s memoir ‘My Name is Ross: An Alcoholic’s Journey’ is now available as an e-book and a Talking Book read by Ross himself.